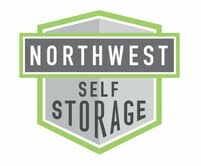 My Father’s House is a nonprofit agency that began in January 2001 because of the overwhelming need for family-shelters in Oregon. 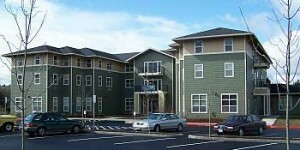 The housing authority in Multnomah County tells us that on any given night, there are more than 3,000 families that are homeless in our area and without hope. These families have been fragmented and broken by physical abuse, addiction, and a culture of poverty, helplessness and dependency that attacks every attempt to rise to a healthier level of existence. This culture is often generational in nature, producing individuals who are incapable or unknowledgeable of how to create a permanent solution to the instability in their lives. My Father’s House reclaims at-risk homeless families from street life by providing them with the life skills necessary to become permanently independent and productive citizens. It is our mission that they not only become self-sufficient, but that they discover their ability to contribute to a better community. We provide a safe environment where families begin their transition in a small private studio apartment within the shelter building. Residents develop skills and confidence in parenting, vocational and recovery classes. Residents receive physical and emotional support to heal relational issues and help with spiritual and family growth. Our program and services are specifically designed to address the issues significant to families with children. Our program is unique amongst shelters, in that we take the entire family. Typically shelters do not accept two-parent families or children over 10 or 12 years of age. We house families longer, usually 120 days, instead of the 30 day stay provided by most government funded agencies. In addition, each family is expected to meet with a case manager who helps them set attainable goals for themselves, and works with them on developing their skills, holding them accountable for their progress. Continuing the work of helping families transform their lives while beginning a capital campaign stretched all the staff and My Father’s House started growing by adding a few more staff members. From 2001 to 2007 we served approximately 26-28 families each year with an average success rate of 84% (families leaving MFH with income and affordable housing). With the help of more than 140 churches, 95 businesses, and hundreds of individuals we know we can reach more families. 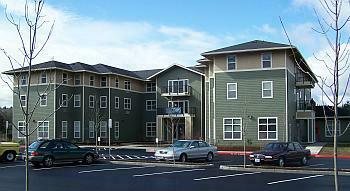 In 2008 we opened our new larger facility in East Multnomah County. The new shelter is paid in full, with over $3.9 million raised to complete this project. Today the new facility houses as many as 28 families at any time for a total of over 100 families every year. In 2015 we opened our transitional housing program, Stepping Stones. This new building is adjacent to our main shelter. There are 12 two bedroom units providing additional housing and educational opportunities for families who need additional time to overcome their housing barriers and better their lives. My Father’s House has come a long way over the past 17 years. We have hundreds of people to thank for all the financial support, volunteer support and encouragement within the community. But most of all the organization chooses to thank God for His grace and love which makes us able to commit ourselves to the work of helping families change their lives.